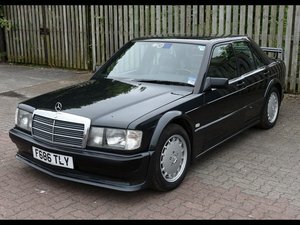 The 80's legendary sport saloon ,more than a car, a period status symbol. 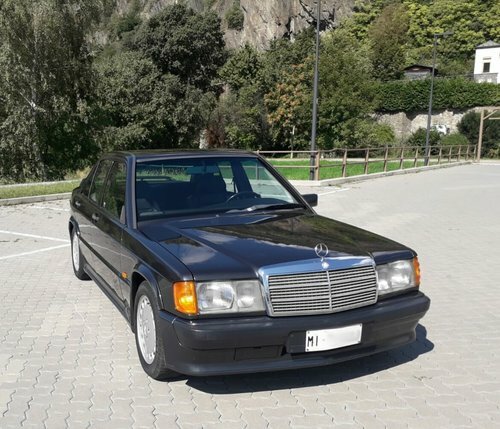 our car is a very rare one owner example sold new in milano by "mercedes italia s.p.a." And on the same hand until a few weeks ago, when we bought it. 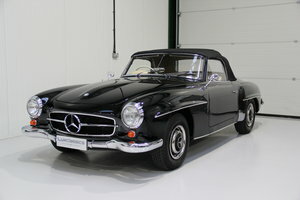 the car had an excellent maintenance, always in mercedes service . 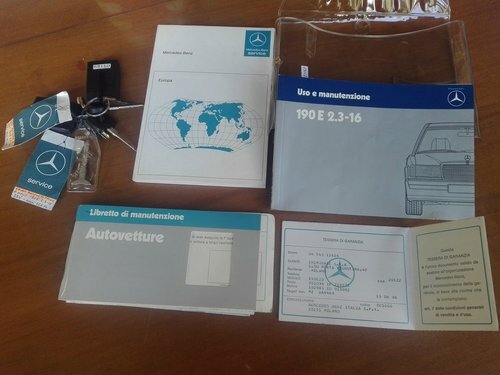 this 190 have a complete service book with 25 stamps since 1.431 km to 137.157 km. all the invoices of these services were scrupulously preserved ,and of course all the keys set, tools, first aid box..etc are with the car. The spare wheel is still the original one. really hard find a car with all his history so clear and documented. 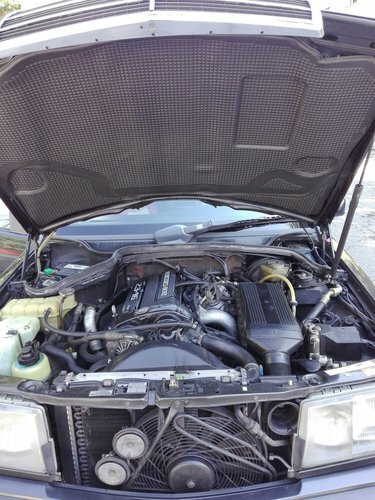 this 2.3 16 shows a super nice body ,never had an accident and paint is still the original in the 90% of the car components. also the specific alloy wheels are impeccable with an almost new pirelli p6000 . 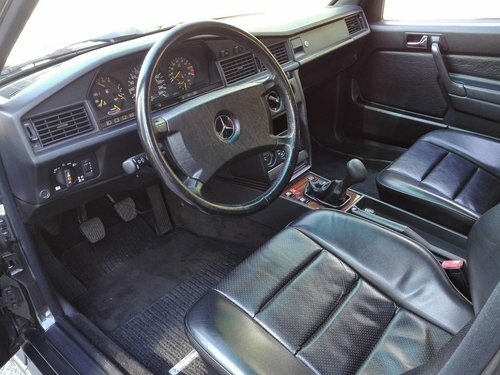 interior shows the mythical mercedes quality in every detail. the cabil still conserve his distinctive "new" fragrance. 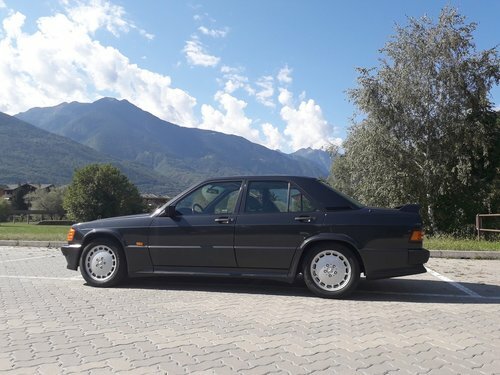 this 190 was ordered with not many options, but under a "classical vision" have the neccesary to enjoy the car: Basically air conditionig , and the superb leather interior. 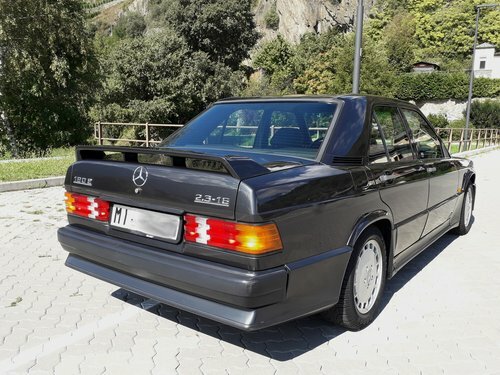 you can find several 2.3 16 on the market, but how many with all the characteristic of our car? don't think too much ! complete dossier of pictures available on request.